I am calling for the restoration of town councils to better improve the services local authorities provide to towns in Kildare. Following recent constituency boundary changes many areas will see a reduction in the number of local councillors after next year’s local elections. We know that decisions are best made by those closest to them. That includes local in Government. Places like Celbridge and Maynooth did not have a town council so it is important that if we re-establish them, and I hope that we do, it is done in such a way that it is uniform and balanced across the country. 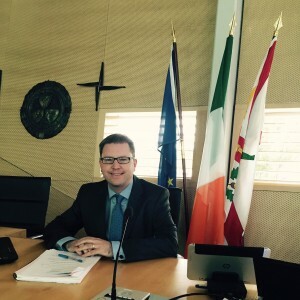 There was an idea a few years ago that Ireland was over-represented and had too many politicians but if we look at local government, France has one councillor for every 118 people, Denmark has one councillor for every 115 people and Ireland has one councillor for every 4,800, so we are actually at the opposite end of the scale. We are hugely under-represented in local government. When the abolition took place, the cost savings amounted to €15 million over the 72 town councils abolished. It reminds me of the 132 Garda stations that were closed for a cost saving of €2 million. There was a general populism at the time, which we might put at the door of Fine Gael. It was a kind of anti-quango talk, of which the current Taoiseach was to the fore, calling for the abolition of various agencies, when all he was doing was abolishing public services. It was a populist, anti-expert kind of mood because the figures do not bear it out. I would welcome the return of town councils to Kildare provided that there is uniform across the county to see all towns have local residents representing their community.